In Honor Of Design: *CLOSED* Go Chic or Go Home + $50 Giveaway to Madewell, J.Crew, ASOS, Gap, Etc. *CLOSED* Go Chic or Go Home + $50 Giveaway to Madewell, J.Crew, ASOS, Gap, Etc. I have a very cool website to introduce to you folks today! Go Chic or Go Home is Go Chic or Go Home is an amazing photo-sharing community that offers everything you need to make the most of your daily wardrobe and style: your closet, inspiration, friends, and shopping. GUESS WHAT?! GCOGH is generously offering a $50 gift card to an IHOD reader! The $50 gift card winner can choose from any of the retailers featured in the Go Chic or Go Home Shop section! This includes Madewell, J.Crew, ASOS, Gap, and more! Become a member of Go Chic or Go Home in 2 easy steps: 1) Request an invite. 2) Use your invite link to sign up on the website. Leave a comment on this blog post about the Go Chic or Go Home community. What do you think? *Existing members are more than welcome to enter the giveaway, too! Simply log into Go Chic or Go Home so that your account is active during the giveaway period. Giveaway is open to international readers and will run through next Monday night! Gift card will be issued to winner in denomination specified by retailer. 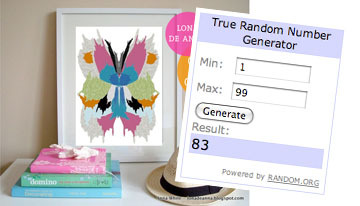 The lucky winner of the Lona de Anna Print Giveaway is #83....Sarah! Will contact you to claim your prize! It looks like a great platform. This website is actually really awesome! Great way to organize my closet! love it. I'm signed up now. Oooh..another cool place to spend time! I think I am going to like this. I requested an invite :). I follow you, of course! What a cool site… can't wait to use it!! I WON?!?!?! YAY! This just made my day!!!!!!!! Thank you for another awesome giveaway! I am a follower via GFC & I requested an invite! Can't wait to begin using this! Such an awesome giveaway! I signed up on the site and love the shopping feature. I've been looking for a way to shop multiple stories for the items I'm looking for and this is perfect! Thanks for sharing! Love this site! Invite requested! Follower of IHOD and I think the idea of a community fashion site is always aces. I've been looking for a dress to wear at my college graduation and I have high hopes that this site will help! Thanks for sharing. love love love this new site! thanks for sharing. lots of weddings coming up this spring that i need dresses for! Done and done. This is such a great idea. Not to bash on other online fashion sharing sites, but this one seems much more friendly and approachable than others. I've been on GCOGH since last year, and I love it! In desparate need of a new wardrobe...can't wait to start exploring the site and getting some great ideas! Go Chic or Go Home! Signed up Friday and have had so much fun uploading pics. What a great site! It's like pinterest, chictopia, Beso and Polyvore all rolled into one. Welcome to all of the new GCOGH members! Super happy to meet you. Newbies - be prepared to fall in love! I love GCOGH ! I've been a member for a while and I always find inspiration there. Such a cool website! I'm still trying to figure it out, but I've already made knew friends & have new inspirations! I can't believe this exists! Remember Cher in Clueless, when she is picking out her outfit via pictures of all that was in her closet? I loved that scene!! I'm signed up and excited to see the outfit possibilities. I just browsed through some great floral outfits and followed/connected with a whole bunch of new faces! Fun all around!! What a great idea. I think this might be a good way for me to see which clothes in my closet I don't like anymore and never wear! I joined :) Looks like a fun way to organize oufits! Great concept! Just singed up and can't wait to dive in! I love the neat design and easy to use features of the website! Why do I have a feeling I'll be creating a group on Pinterest just for this site as well as I coordinate my dream closet? Oh well... haha! So fun! I signed up and I love looking at how other girls put together their outfits! Great place for inspiration. Thanks for the suggestion and the giveaway! What a cool website cannot wait to get into it! What a great giveaway. I'm an IHOD follower & a mbr of th GCOGH site already. Oh my goodness! I'm so excited that a site like GCOGH exists! I've been attempting to recreate my wardrobe and taking photos of each individual outfit variation, but now I can play with the mix and match a lot easier! I'm already a GCOGH member. What an awesome giveaway!! Love the fact that I can upload my current clothes onto the site and have a virtual closet where I can make outfits with my pre-existing clothes and see what other pieces would mix in well! GCOGH is a great way to get inspiration, especially when it takes me more than an hour to figure out what I'm going to wear for the day! I signed up! I think it's a great, unique website. im a follower of this blog and a member of Go Chic or Go home. I think it's a great community, and it's really useful for sorting items from your wardrobe and online into sections and piecing together an outfit from them. I love your blog so much & this website is so cool! Thanks for sharing!! How fun! Go Chic or Go Home looks like a cool site, I'm looking forward to exploring it more! I like how it combines fashion with blog networking/linking bloggers, I think that is a cool concept. Thanks for a great giveaway! I signed up and started using it this weekend. So far, I'm loving it :) Thanks for spreading the word! Requested..signed up via the invite link. I love Pinterest.. and I love Facebook, so this is great! Thanks for this Anna - I'm a new member! I'm a brand new member of GCOGH and it looks like tons of fun! I really like the idea behind this site, because it unites shopping with inspiration. I am a fashion enthusiast and I enjoy looking at different outfits, analyze them, extract what I like and incorporate it in my personal style. I also find it fascinating to see how different people react to fashion and how they interpret a trend or a clothing item, and the site gives me the opportunity to expand my passion. I also find it very useful that I can mix and match my own clothes and come up with new, amazing ideas. This duality between practicality and an inspirational factor makes the site unique.